The SPCC Regulations state that “Secondary containment tanks must be able to hold a minimum of 110% capacity of the largest primary tank within a stack or 110% capacity of an individual primary tank. 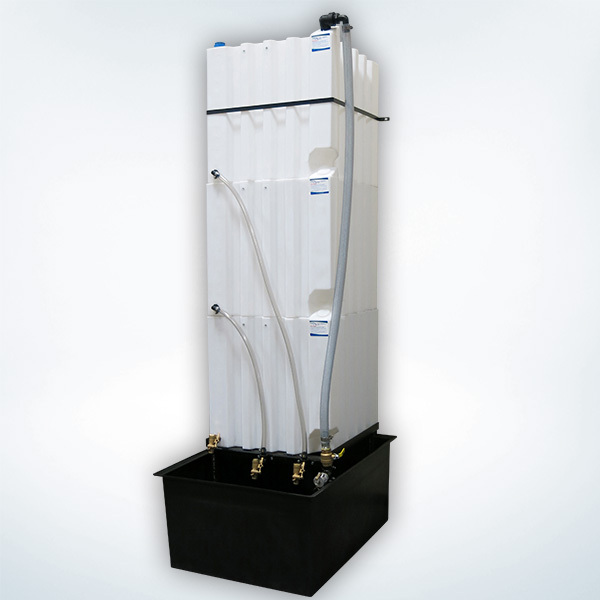 Fluidall’s secondary containment tanks provide an excellent secondary barrier between primary oil storage tanks and the external environment. 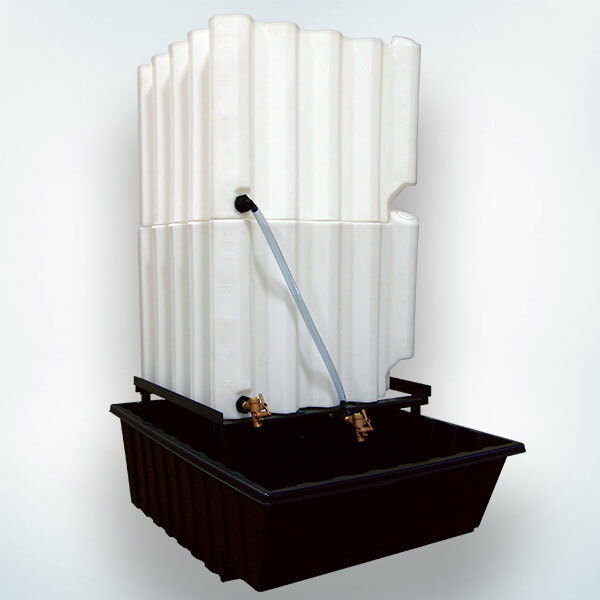 Available in poly, aluminum and steel, our containment tanks are designed for use with our stackable poly tanks. 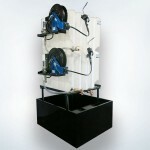 Our containment tanks are compliant with the latest SPCC regulations when correctly sized with primary oil tanks. 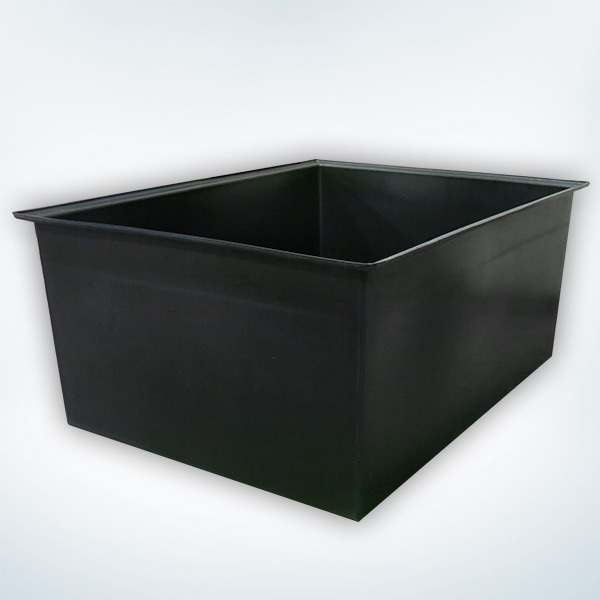 Poly containment basins are rotomolded, created in one seamless piece, and can accommodate both gravity feed or pump dispense. The CV200 containment vessel features a built-in drip tray, and both our poly vessels are nestable. 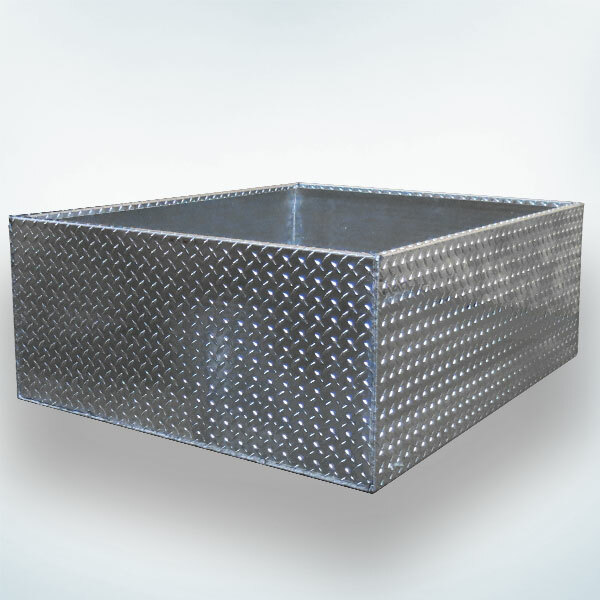 Aluminum diamondplate containment vessels are durable, and non-flammable. Steel containment vessels are compliant with one or multiple stacked tanks, and can accommodate both gravity feed or pump dispense. 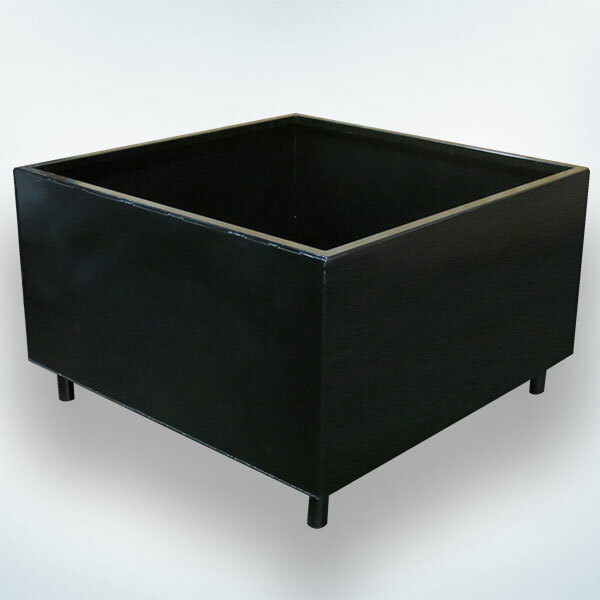 Our drip tray assembly does fit inside the containment vessel. Steel containment tanks with five inch legs are forklift ready for mobility around the shop. Configure forkliftable containment basins with only with a single primary tank (not a stacked tank system) and a top mountedpump package; they are not meant to be used with drip trays nor gravity feed dispense. 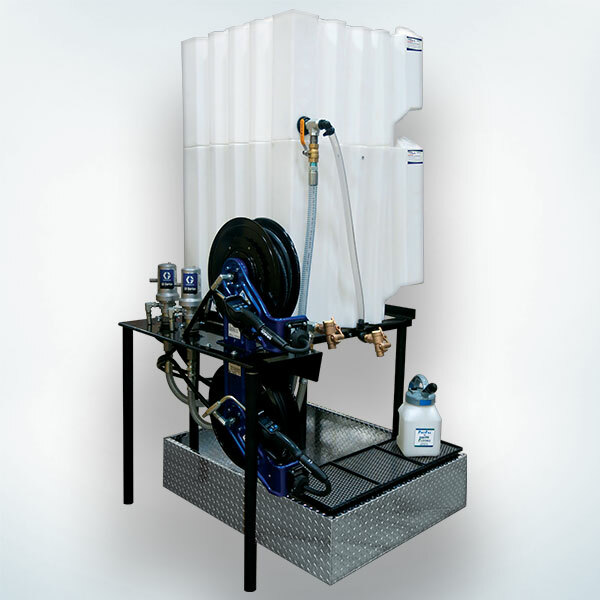 Contact a Fluidall representative to determine the most economical secondary tank solution for your oil and fluid containment needs. 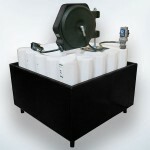 Use with Stacked T120 and all Wall-Stacker Tank Systems 40"W x 52"D x 23"H 38 Lbs. 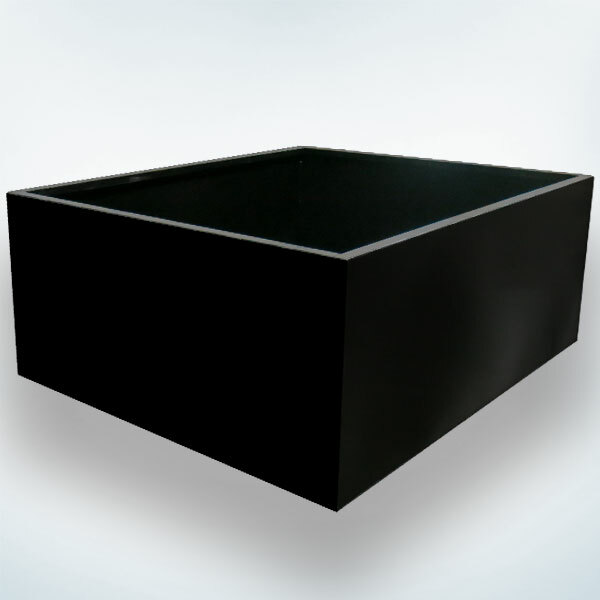 Use with Stacked T130 or T180 48"W x 65"D x 23"H 50 Lbs. 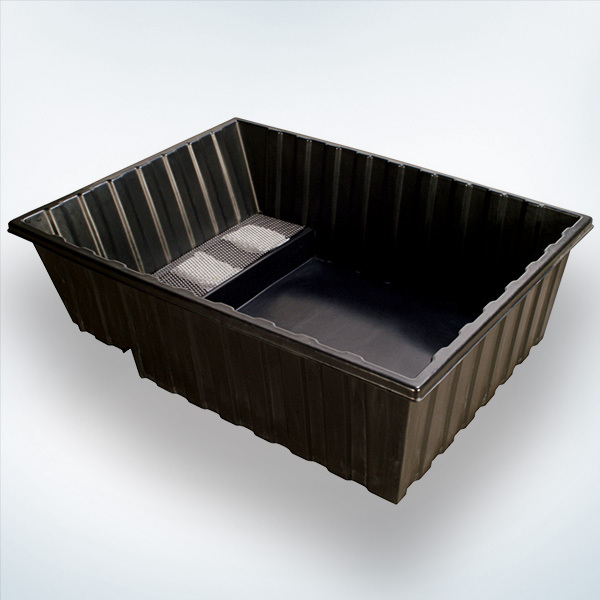 Use with Stacked T70 38"W x 47"D x 11"H 107 Lbs. Use with Stacked T120 36"W x 48"D x 22"H 132 Lbs. Use with Stacked T130, T180, T240 46"W x 56"D x 25"H 174 Lbs. Use with Single T330 46"W x 56"D x 34"H 254 Lbs. Use with Stacked T70 38"W x x47"D x 11"H 40 Lbs. Use with Stacked T120 38"W x 47"D x 18"H 55 Lbs. Use with Single T180 46"W x 46"D x 29"H 150 Lbs. Use with Single T240 46"W x 46"D x 35"H 185 Lbs. Use with Single T330 46"W x 46"D x 46"H 231 Lbs.